Ever heard the phrase, "More Catholic than the Pope"? It could have been written about Croatia where Catholic holidays and rituals are celebrated with enthusiasm. Catholicism is the dominant religion in Croatia. According to recent figures, nearly 90% of the population defines itself as Catholic, nearly 3% as Orthodox, 2.1% atheist and only 1.1% Muslim. The Croatian independence drive was, in turn, strongly supported by the Vatican and the country has been treated to a stream of visits by the late Pope Jean Paul II. The Pope's visit to Zagreb in 1998 to beatify cardinal Stepinac was greeted with wild celebrations. Pope Frances is under pressure from Croatia to canonize the controversial Cardinal Stepinac. His delay in doing so has made him less popular in Croatia than Jean Paul II. 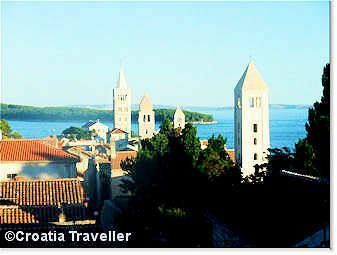 The church is a highly respected institution in present-day Croatia, enough to encourage many young Croats to enter convents or the priesthood which further endears the country to the Vatican. Church services are strongly attended (30% of Croats claim to attend mass weekly) and some 76% of Croats answering a recent poll described themselves as religious. Religion goes a long way to explaining the bitter differences between the Catholic Croats and the Orthodox Serbs as well as the relatively traditional values that prevail in Croatia. Homosexuality is still frowned upon (see Gays in Croatia). Attitudes are changing among younger Croatians. Yet paradoxically, there is wide tolerance for naturism and abortion is legal (although restricted) in Croatia.